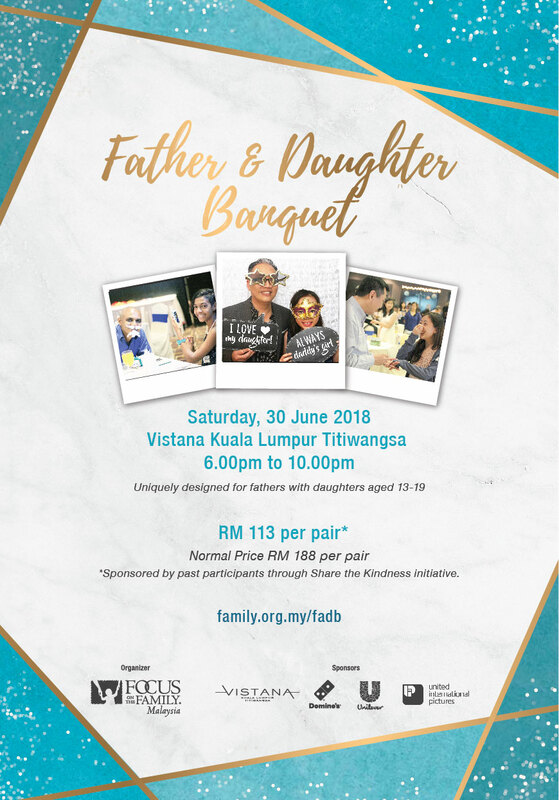 The Father & Daughter event (e.g. Brunch Date or Formal Dinner Banquet) is designed as a special moment for fathers & daughters to spend meaningful time together over a special meal - one to one. Throughout the event, fathers have the opportunity to bond with their daughters while also affirming their commitment as a father, and reassuring their daughters as young ladies. Fathers, take your daughter out for an exclusive moment filled with fun and meaningful activities, as a way of affirming her worth and femininity. The highlight of the event will be a special purity ring presentation. 1. Photography Session: Fathers and daughters take a portrait shot together as a memento of the event. 2. Activities: Short activities to emphasize the importance of understanding, communicating and encouraging one another. 3. Love Language: Participants answer a brief questionnaire and discover each other’s love language. 4. “His & Her Story”: Testimonies from a father and daughter team to encourage the participants in their relationship. 5. Purity Commitment: Fathers present their daughters with a "Worth the Wait" ring as a reminder to her that she is loved and precious to him. 6. "Our Dreams": Fathers and daughters share their expectations and dreams.